Dear ALSA National Chapters, Greetings to ALSAians all around Asia! 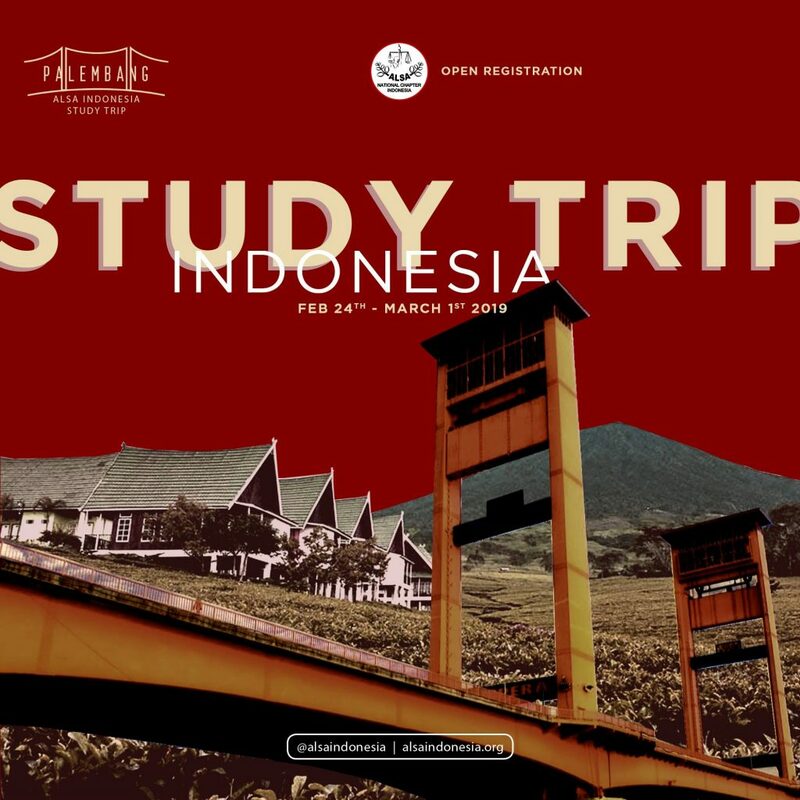 We pleased to announce you that, the open registration period are officially extended!It gives us great pleasure and distinct honour cordially invite you to participate in Study Trip Indonesia 2019 with theme “Reinforce Cultural Values, Instill the Tolerance” that will be held on 24th February 2019 – 1st March 2019 in Palembang, South Sumatra, Indonesia. The registration fee for International Delegates is USD 375. The registration fee cover costs for accommodation, transportation between venues, and meals indicated in the schedule. Also note that registration form is available for download at this link and please do submit your form to the National Board Officers in your respective National Chapters.